Bonn, besides being a German city, is also a a very nice shirt designed by our friend Kennis (Itch to Stitch). You know my love for Kennis’ patterns. 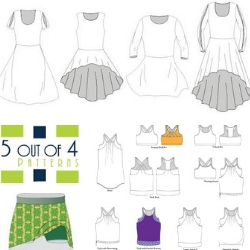 I tested about 15 of her designs…My favorite so far are the Nottingham Top (for Miss G and I) and I wear my Angelia shorts a lot during summer. When Crystal asked for ITS-addicted sewists, I applied. Kennis generously offered us a pattern of our choice and I picked the Bonn shirt. My wardrobe is really poor in me-made shirts. You can also get your Bonn shirt at a discounted price today only (Sept.18). Only$9! In a classroom, Bonn would be that pupil, you know, the one who is shy but friendly, who knows all the answers, but isn’t bossy. This is Bonn. 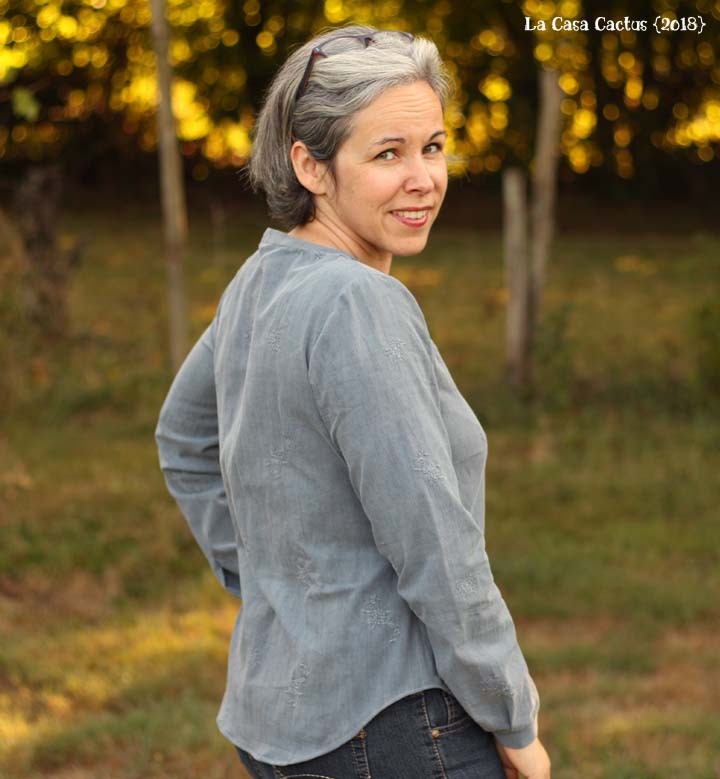 You can sew Bonns for the year-round look since it offers 4 sleeve options: long, short, 3/4, and 3/4 with a ruffle. 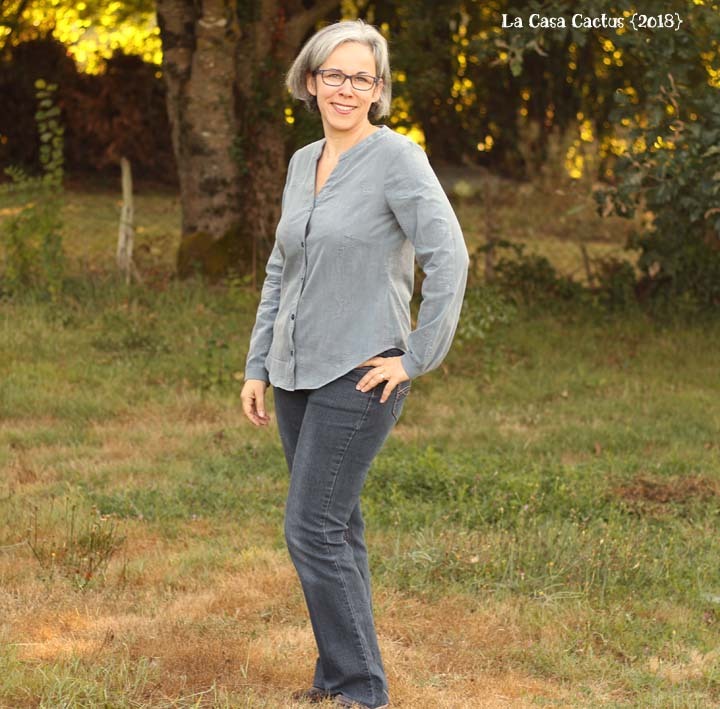 Because fall is around the corner, I chose to sew the long-sleeve version out of this lovely embroidered cotton coupon I got on Les Coupons de Saint-Pierre website. This fabric was nicely waiting to be cut into the nicest shirt I ever made for myself. I used my first Bonn as a test for some bust apex and bust darts alterations. 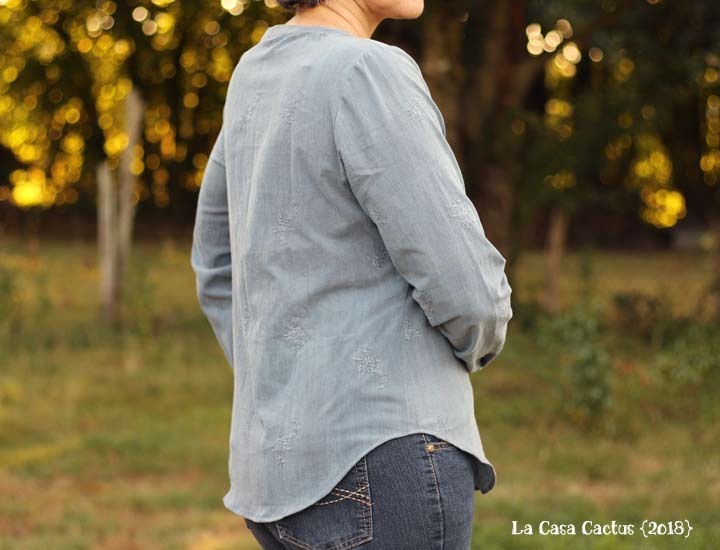 This shirt is why I wrote an article about bust pattern alterations! First time I feel great in a shirt I made. It’s not boxy, it shows the right amount of cleavage, and it’s fitted as I like. Do not forget to check on the other bloggers’ great mades. You will see the beautiful garments they sewed. And the best for the end…a giveaway!! With amazing sponsors! Oh it’s so beautiful!!! Great fit and styling and pics! Thank you! I think I’ve found my go-to shirt. beautiful! That fabric is so pretty and perfectly suited to this pattern! Thank you! They were meant for each other! I made the Bonn too, isn’t it a fabulous pattern? I love the fabric you chose, that little bit of embroidery detail on it really sets it apart. I agree that this pattern is so great. It really brought me confidence. That fabric is gorgeous! I love the shaping of the Bonn shirt! Thanks. I love the shaping too, it’s not too wide. Thank you. I love it. Beautiful job- know you will wear it a great deal! Thank you! This pattern is just great. I agree! I’m so happy that I feel like I can now tweak the fit at the shoulders a little bit more then do a Mila and, maybe, jump to the scary task of fitting the Liana Jeans!!! It is! Lightweight and works well with the pattern. 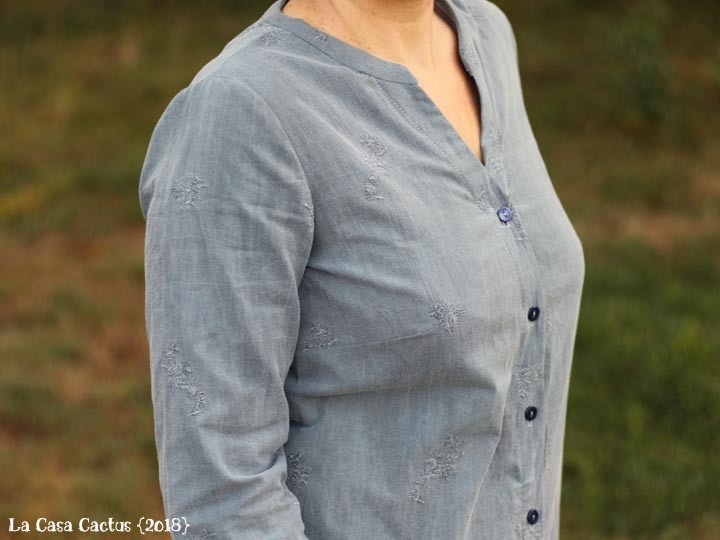 The fit of your Bonn Shirt is divine! Well done!! Thank you! I’m starting to find my marks with the alterations I need! Deine Bluse sieht sehr schick aus, der Stoff gefällt mir sehr.